We’ll post regularly on LinkedIn, Facebook, and Twitter to add to your online visibility. Includes setup and platform branding to match your website. See full details of our social media packages here. We’ve produced five high-quality videos – one each on Tax, Controller, Bookkeeping, Payroll, and QuickBooks – that you can use to start your YouTube channel and enhance your website. Videos have choice of male or female voice and your logo and contact info is added at the end. Purchase them outright for $300 each or add $40/mo to any web package to get all five. More details here. As Constant Contact Certified Partners, we can send out a newsletter to your client and prospect list every two weeks. We offer a range from do-it-yourself to done-for you. For Web Pro and up clients, add $75/mo for a Constant Contact account with under 500 contacts and our bi-weekly tax or small business newsletter. More details here. 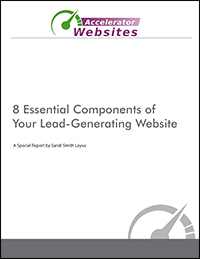 Want more leads than organic solutions can bring you? Accelerate your traffic with paid ads in Google, Bing, LinkedIn, Facebook, and (coming soon) Oath (Yahoo). We know which platform gives the best ROI (it’s not who you think), and everything is personally customized to your needs and goals. No robots here! More details here. Need a custom solution? Let’s talk. Call 972-985-9129 or schedule an appointment.